Salve Scrap Fans! Welcome to this week's ABC of what's hot at WRE this week. Learning resources! We’re not called a Worcester RESOURCE Exchange for nowt, friends. We have lots of educational resources for use at home and in school. 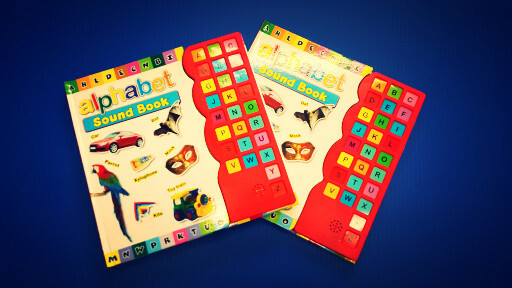 These noisy alphabet sound books are great for little learners and pranksters alike! Oasis vinyl! 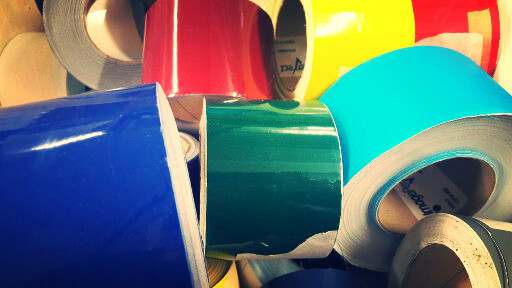 In addition to our normal splendid selection of colourful sticky back vinyl, we have some of these long narrow strips. Why is it called Oasis vinyl? …………… Because you got a roll with it!!! Kabooosh!!!!!! We’re here all week folks! 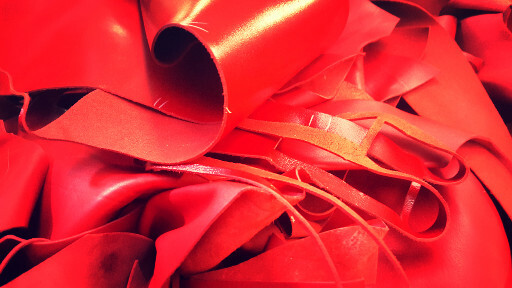 Moving back even further in time, from the nineties to the eighties, just have a look at this beautiful red leather. 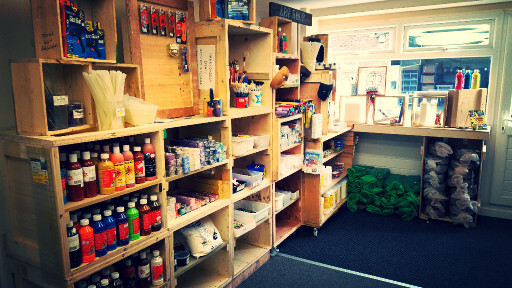 This really is top quality stuff and great for a range of crafts, from bags to book binding, or even a Michael Jackson Thriller costume for your Action Man? Or add sparkle? Actually, no, don’t add sparkle to the workwear, it will come off all over the place and despite the lovely idea of tradespeople spreading sparkle everywhere they go, it will make a mess. 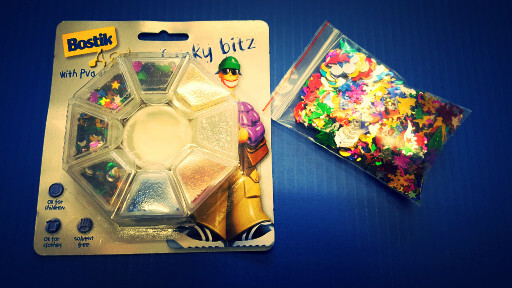 So you’ll just have to find something else to beautify with these colourful shiny shapes. This year’s Worcester Carnival will be held on Sunday 28th August and the theme is “Films and Musicals”. Once again, we have something rather special in mind, so if you want to get involved, please join our fabulous and fun Carnival Crew. 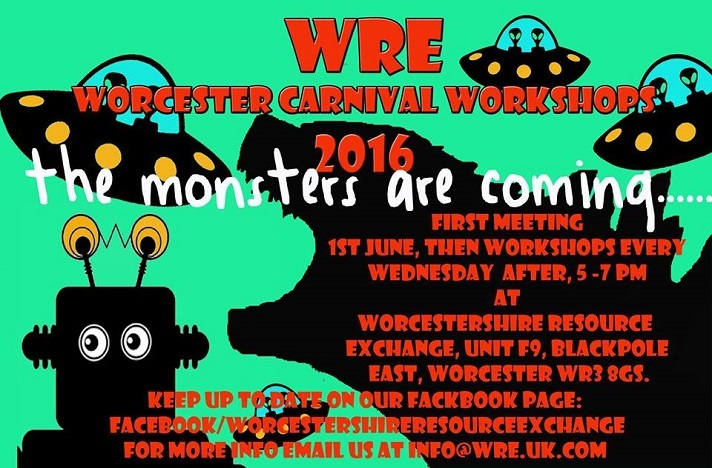 Weekly carnival drop in sessions will be held upstairs at WRE on Wednesdays 5pm-7pm. 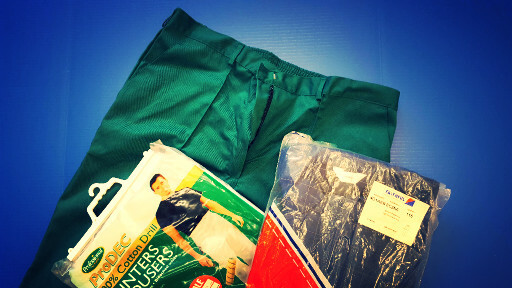 Be prepared to get mucky during these sessions so wear clothes you don't mind getting damaged or dirty. If you are already planning to get involved in this year’s carnival, then we have a special membership rate for you. Pop in and see us for details. It’s a brilliant deal, and you get the added advantage of practical advice from the fabulously creative WRE gang. That’s all folks. Unfortunately there is no new stuff for ferrets again this week. It looks like we’ll have to ferret around for something…………… I’ll get my coat…… Cheerio!